● Popular deals from Native Remedies often require a coupon code. Most savings come from percentage discounts and dollar savings on all products for a limited time. Average discounts are from 5-10%. Similarly, product-specific coupons offering savings can also be found. ● Limited time promos that do not require a coupon also offer added savings. These may come in the form of getting an extra item free when you buy a number of products, buy one/get one free offers, and price drops on featured products. ● Native Remedies also has a Top Deals page which allows you to save up to 62% on great bargains. You should also check out Monthly Specials where products are available at up to 40% less for a whole month. ● You can also get added store credit by signing up for their email list or referring 3 friends to Native Remedies. Finding natural remedies for ailments or other health concerns is becoming more popular throughout the world. 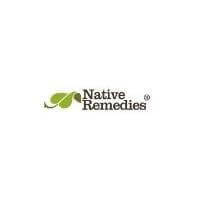 Native Remedies is a company that specializes in natural solutions for a variety of issues. The main page of their website includes the most common issues that their customers experience: learning and focus, mood and tension, and dizziness and balance. You can take a look at their natural remedies by category or you can browse based on your particular health concern. In order to get assistance with your order, you can talk to one of their health experts through the “Ask our Experts” tab. For most up to date offers check out Native Remedies on Facebook and Twitter or contact Native Remedies Support for any questions.